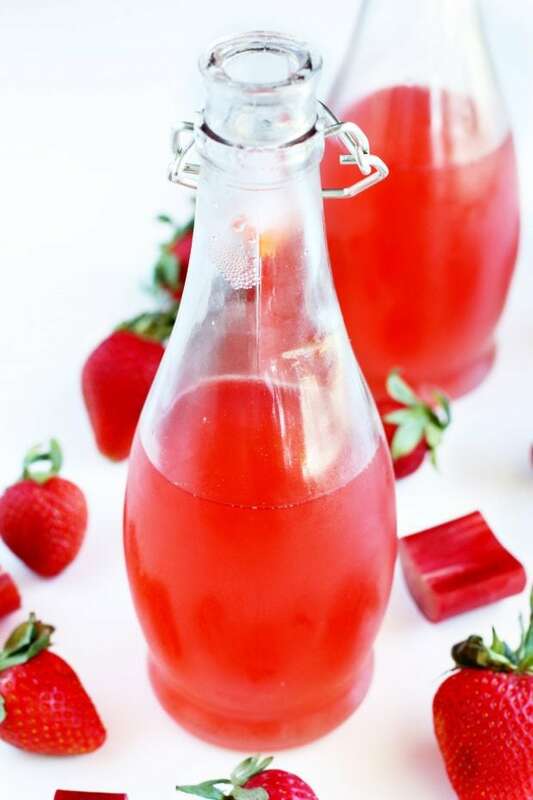 Homemade Strawberry Rhubarb Simple Syrup is the best way to take advantage of rhubarb season, and help it last even longer! 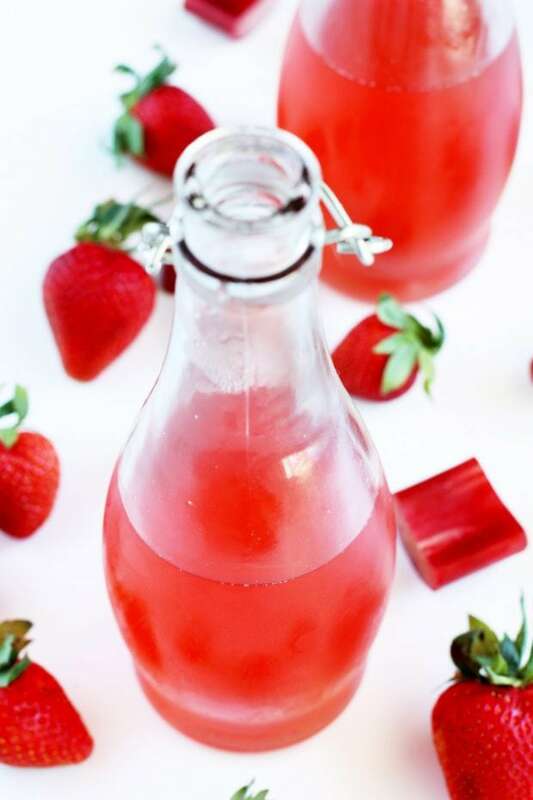 Strawberries and rhubarb naturally complement each other in this easy-to-make recipe for a simple syrup that can be used in a variety of ways. 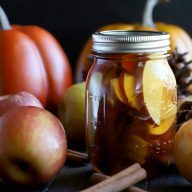 From cocktails to spritzers, lemonades to homemade sodas, you’ll be surprised how many ways you can enjoy this flavorful liquid! For me, the most powerful ingredient when it comes to cocktails is a homemade simple syrup. 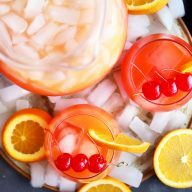 I’ve used simple syrup in a ton of different cocktails as you may have seen before, but I just realized that I’ve never dedicated a post to a homemade simple syrup! 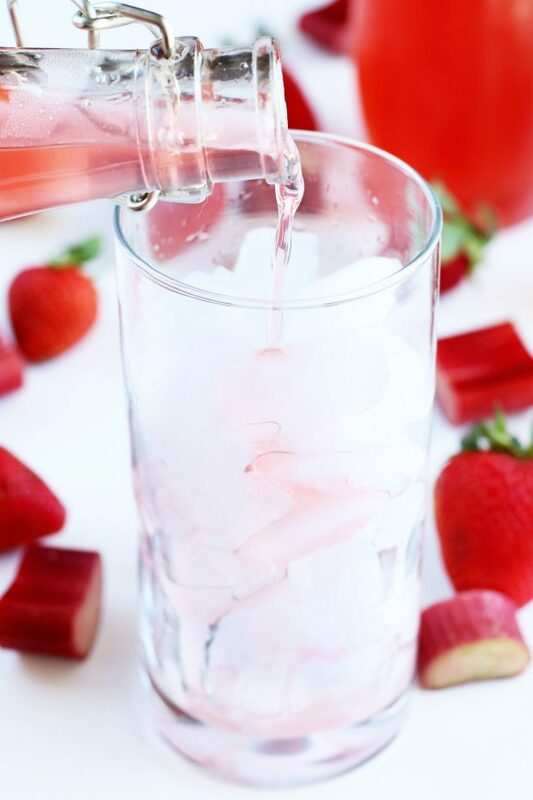 So, I’m hear to chat with you about the best way to celebrate rhubarb season and to keep that rhubarb goodness going strong all summer long. 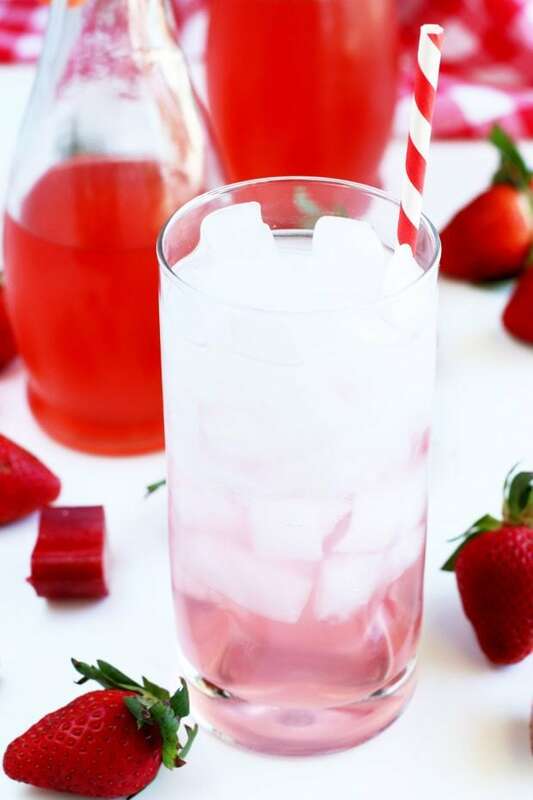 Strawberry and rhubarb are such a classic combination, it’s impossible not to run into it once rhubarb comes into season, especially here in Colorado. A simple syrup is such an easy thing to make at home, and it can liven up everything from your cocktails to your lemonades. Heck, you can even make your own homemade soda with a homemade simple syrup but combining it with club soda. That’s honestly the drink I’ve been sipping on all week long, just in case anyone is keeping track. Once happy hour hits, all you have to do is add in some vodka. When it comes to making a simple syrup, the math is easy. It’s equal parts sugar and water, brought to a boil to get the sugar to dissolve, and then cooled completely. That’s. IT. Therefore, making a custom simple syrup is incredibly easy to do! You just add in whatever ingredients you want and the simple syrup takes on those flavors as you bring it to a boil. Then I like to remove it from heat and let the ingredients steep for 30 minutes. Strain out the extra ingredients you added and boom. Just like that, you have your own creation to add in any drink you would like. You will be surprised at how easy it is to make these simple syrups at home, and at this time of year, you have to start with this one! Your summer parties are BEGGING for it. Want to create more simple syrups? Check out the recipes below for more flavor ideas to add to your bar cart! If you need a durable and reliable saucepan, I highly recommend this Le Creuset of America Enameled Cast Iron Sauce Pan! is a must for any cooking. and Extra Large Organic Bamboo Cutting Board make it easy to chop up the rhubarb and strawberries for the syrup. Plus with Shun, you get a lifetime of free sharpening with their warrantee! 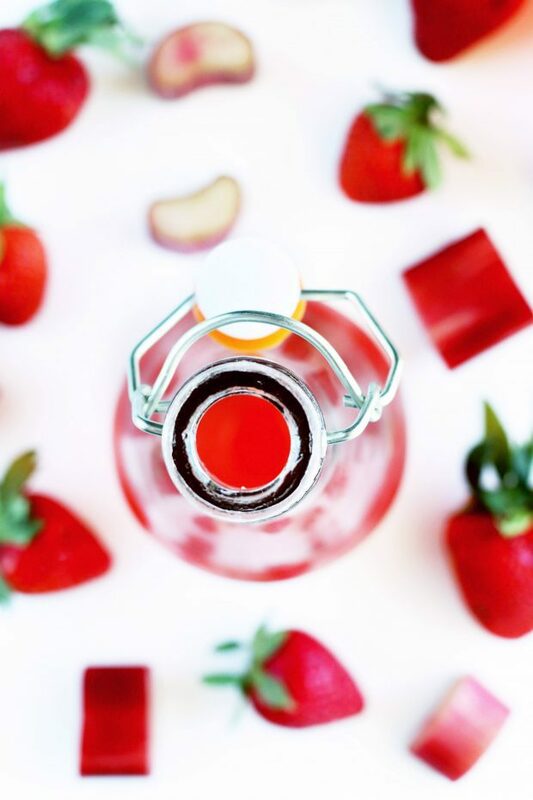 Pin this Homemade Strawberry Rhubarb Simple Syrup recipe for later! 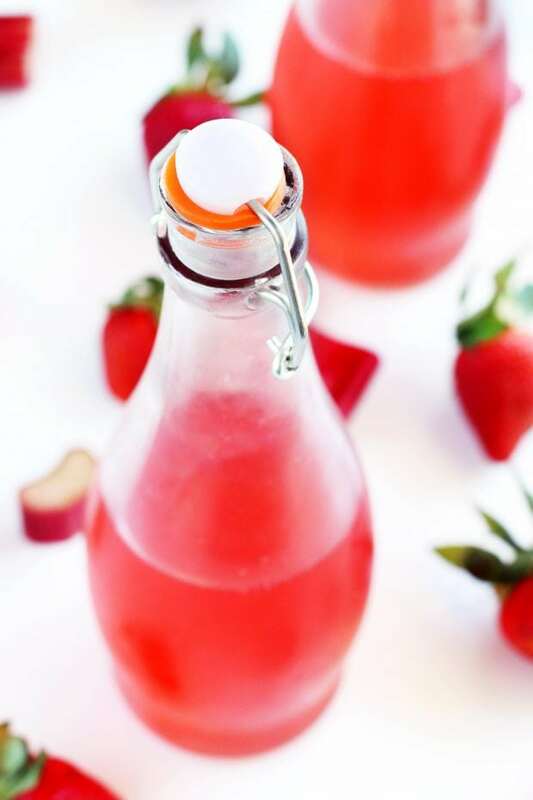 Strawberry and rhubarb are a perfect pairing for this easy peasy simply syrup recipe. Use it for cocktails or homemade sodas and lemonades! In a medium saucepan, combine sugar, water, rhubarb and strawberries. Stir well. Once boiling, remove the pan from heat and cover. Let steep for approximately 30 minutes. Drain the simple syrup into an airtight container. Store in the refrigerator and use as desired. The syrup will last up to several weeks. I love simple syrup! 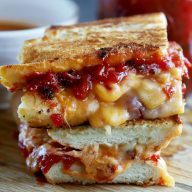 This recipe looks so delicious and simple! I need to make this soon. This possibilities are endless for this!! I love that flavor combo! I love the strawberry and rhubarb flavor combination! I can’t wait to give this a try! 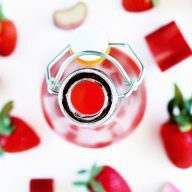 This strawberry rhubarb syrup rocks my world! What a fantastic simple syrup for drink mixes! It sounds delicious! This is a perfect drink mi for my next cocktail party! Thank you for sharing!